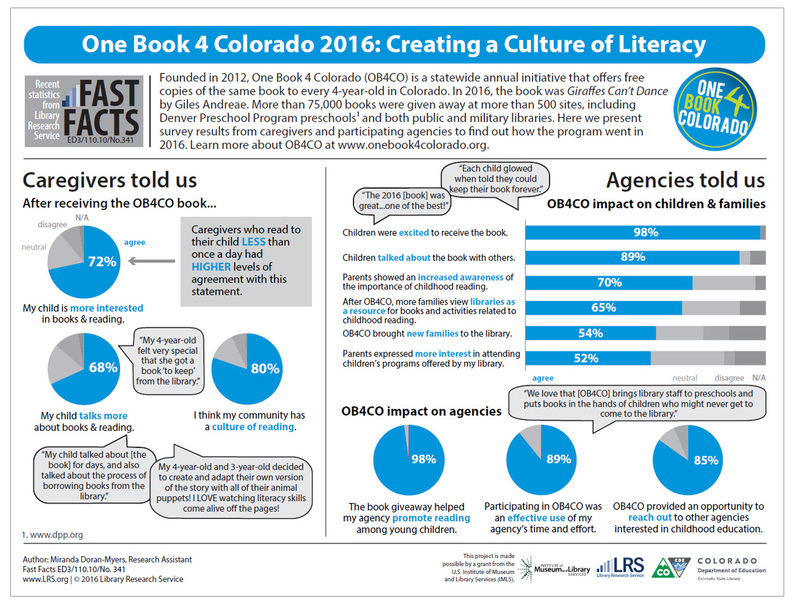 Founded in 2012, One Book 4 Colorado (OB4CO) is a statewide annual initiative that offers free copies of the same book to every 4-year-old in Colorado. In 2016, the book was Giraffes Can’t Dance by Giles Andreae. More than 75,000 books were given away at more than 500 sites, including Denver Preschool Program preschools1 and both public and military libraries. Here we present survey results from caregivers and participating agencies to find out how the program went in 2016. Learn more about OB4CO at www.onebook4colorado.org. 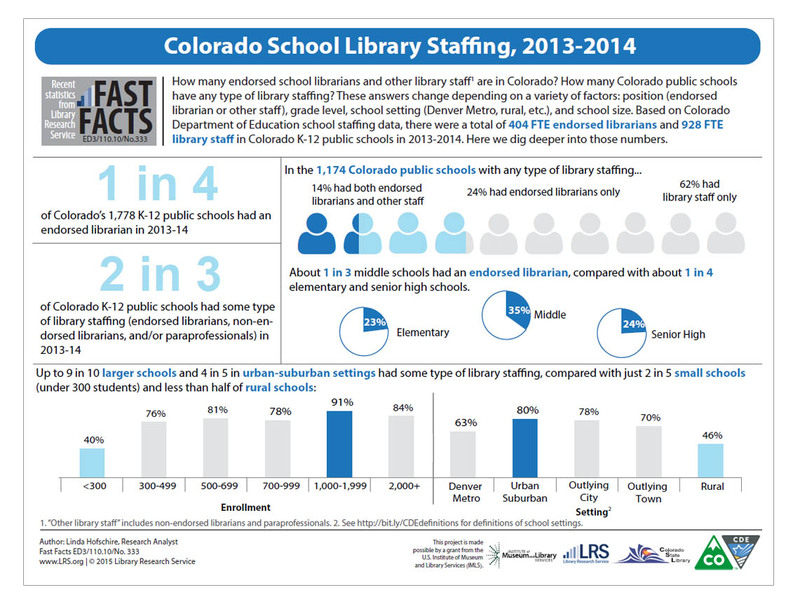 The Colorado Talking Book Library (CTBL) provides free library services to Coloradans of all ages who are unable to read standard print materials because of physical, visual, or learning disabilities. CTBL serves more than 6,500 active individual patrons and 500 organizations and has at least one patron in every county in Colorado. 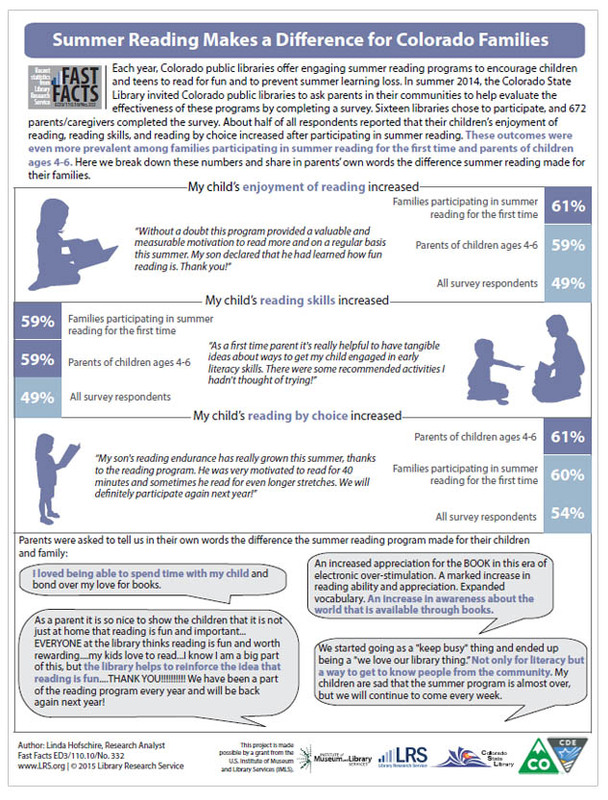 The CTBL patron satisfaction survey is distributed to an age-stratified sample of patrons every 18 months. 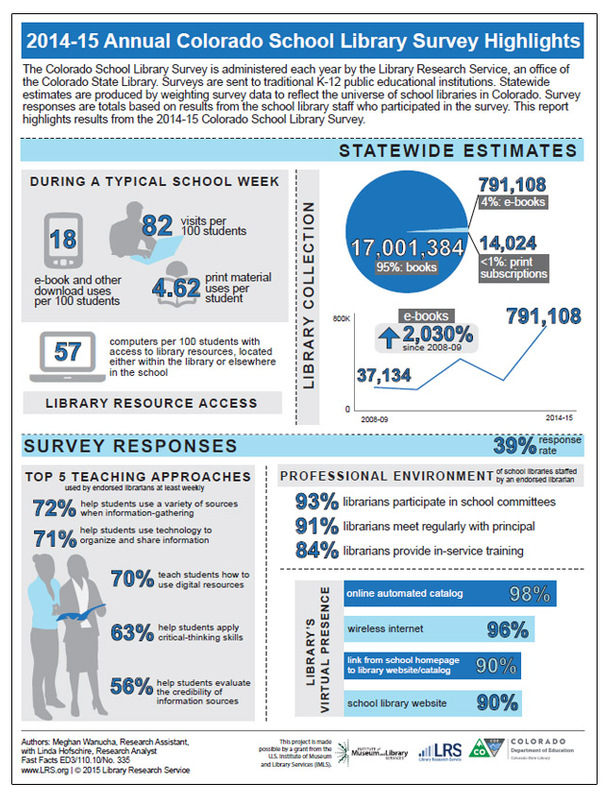 Below are highlights from the 2014 survey as well as other year-end statistics. 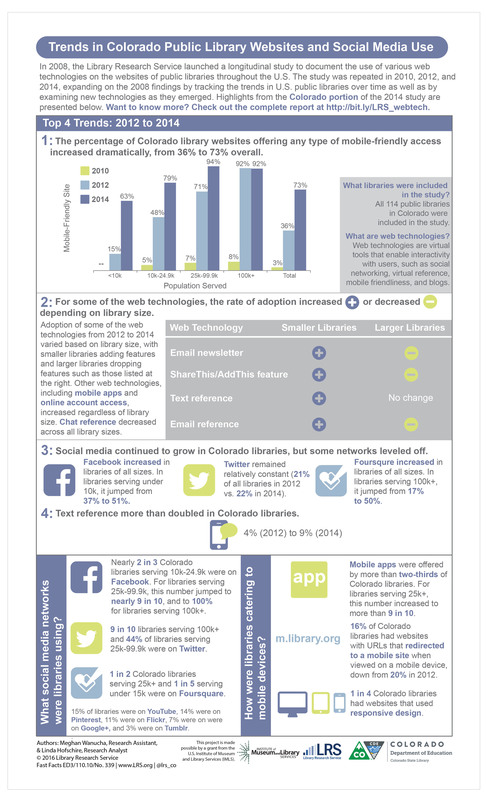 Every year, the Library Research Service’s Public Library Annual Report surveys Colorado public libraries about challenges to their materials or services. 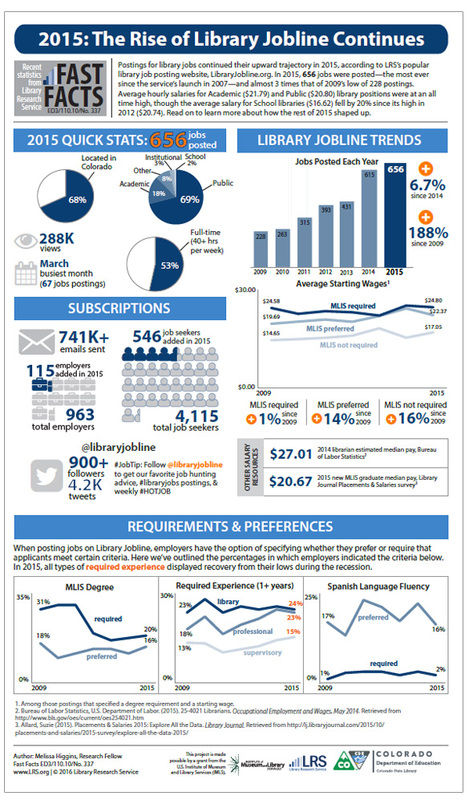 The libraries that report receiving one or more challenges are then asked to provide additional information. 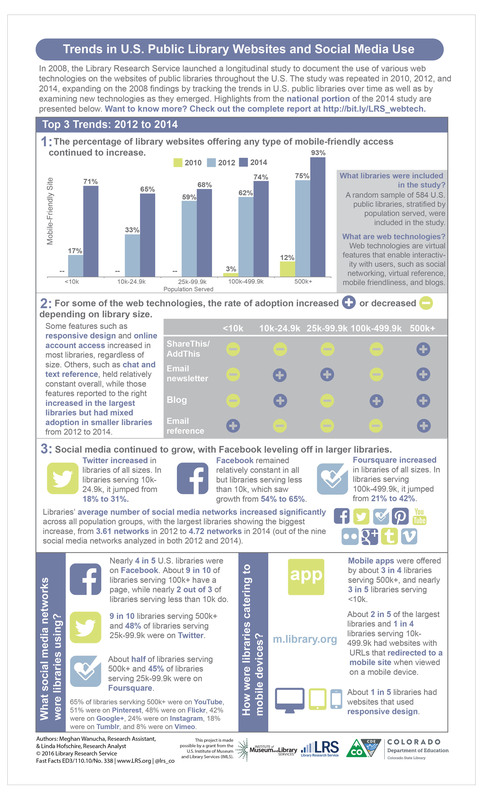 This Fast Facts addresses the number, nature, and outcome of the challenges reported in 2014. Note: One library did not provide data about audience, resolution, and reason for its computer challenges.